Few things are worse than jumping in the shower first thing in the morning and being surprised by a blast of ice cold water. If your water heater isn’t working properly, you need help from a licensed plumber right away. Here at GT Campbell plumbing, we’re proud to provide our customers with a full range of top-of-the-line services for water heater repair in Macedon NY. Whether you need a water heater for your new home, your existing water heater has broken down one too many times or you’re just thinking about making the switch to an energy efficient tankless water heater, we offer several types. Of course, the most obvious sign that you need water heater repair in Macedon NY is your water failing to get hot. That’s not the only thing to watch out for, though. If your water isn’t getting warm quite like it used to or if your water has an usual taste, color or smell, a problem with your water heater could be to blame. You should also consider contacting a plumber if your water heater is making any unusual sounds. Modern water heaters are built to last, but traditional tank-style heaters still need to be replaced roughly every 8 to 10 years, and a tankless water heater will probably need to be replaced within about 20 years. In time, even the best water heaters become less efficient and more prone to failure. 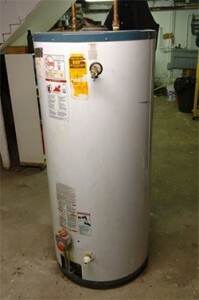 If your water heater is getting old, we recommend replacing it now before it breaks down at the worst possible time. For the best water heater repair in Macedon as well as other services, including water heater replacement and water heater installation, trust GT Campbell Plumbing. We offer fast, affordable services, and we are proud to be one of the best plumbers in Macedon. To schedule a service call, please call your trusted Macedon plumber at today!